Shared Harvest Community Farm and Education Centre is more than just a farm. We are a place to get fresh weekly veggies, an event centre for your celebrations of life whether it is a wedding, birthday party or celebration of life, a place for educational workshops, a place to enjoy dinner and live music and a place to unwind from the rigors of work, city life and the distractions that separate us from connecting to nature. Lunar Rhythm Gardens is a 100 acre farm situated in the City of Kawartha Lakes, bordering Durham Region. We serve Port Perry, Bowmanville, Lakefield, Peterborough, Brooklin, and surrounding areas. 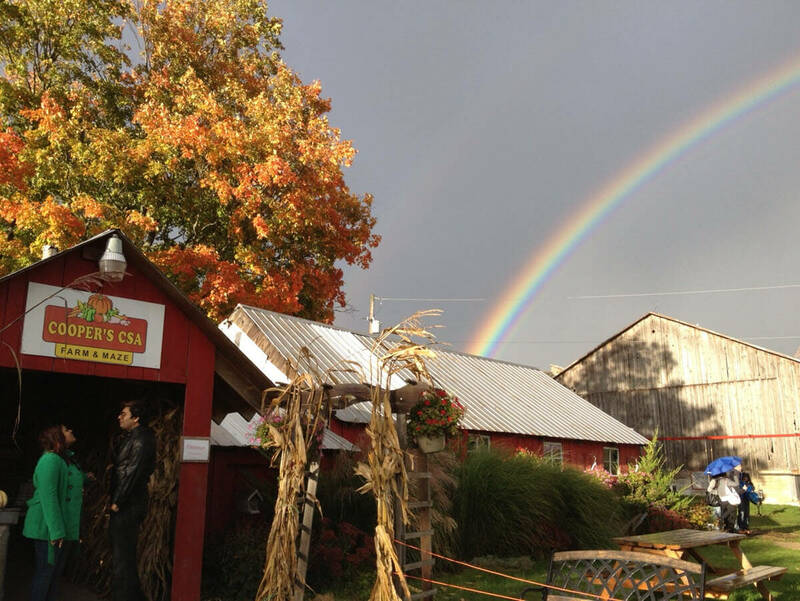 The farmland is certified organic, with 20 acres in organic vegetables. To help maintain biodiversity we also have a small herd of beef cows, some pigs, chickens, and have a beekeeper on site. We operate our farm using both draft horses and tractors- a hybrid!- for environmental and spiritual reasons.